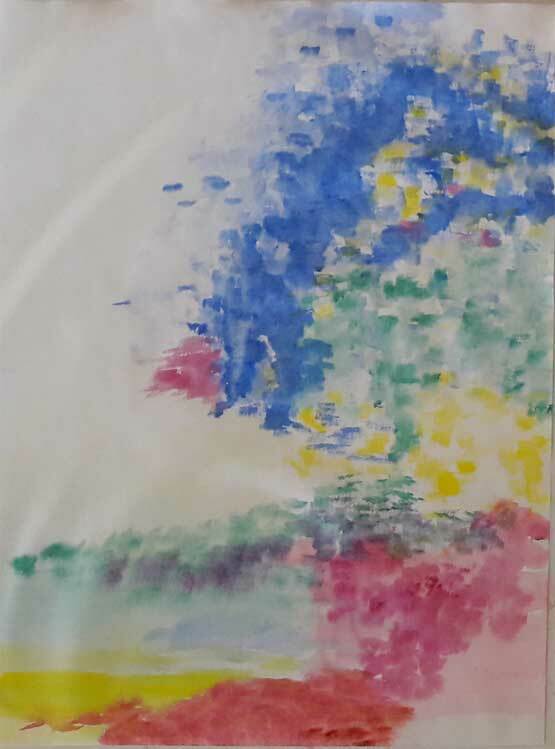 Anthroposophic painting therapy can strengthen expectant mothers in their soul and spirit, as an accompaniment to other anthroposophic treatments (1). Painting therapy can be prescribed by a doctor, particularly for disorders such as hyperemesis gravidarum in early pregnancy, premature labor before the 36th week and fear of childbirth, or to support birth preparation. Experience shows that active and accompanied painting enables pregnant women to relax in their body functions and access difficult emotions. Painting therapy becomes a catalyst for the healing process (2, 3, 4, 5). Anthroposophic painting therapy has a calming and balancing effect during pregnancy. On a physical level, it has an activating and balancing effect on the organ processes of the mother’s body. Mental and emotional processes can be perceived, deepened or looked at anew through visualization and color perception. Free movement of color has an encouraging effect on the emotions. Emotions from stressful situations are released, creating space for a firmer bond with the child. It is important to understand that the manner in which the colors appear corresponds to the creative forces in human beings. Thus, colors are used according to their essence. 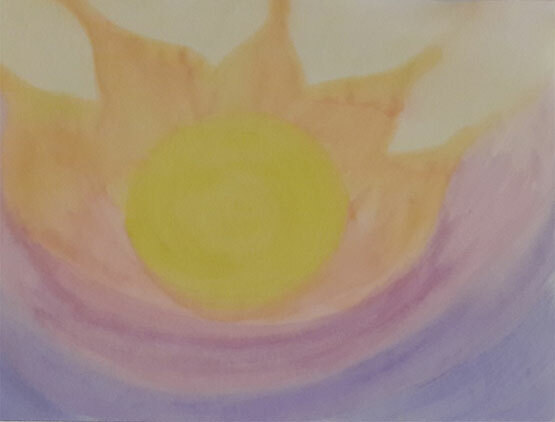 The painting therapy presented here is based on the “light, darkness and color” method (6, 7). This approach assumes that there is a correspondence between the atmospheric colors in our environment and the emotions within us. Sensory perception stimulated by the colors outside of us forms an inner rainbow of moods and emotions within and lends space and inwardness to the soul. Nausea severely affects women during their daily activities. When someone continues to vomit and loses weight, she must be hospitalized. To this day, various explanations are given for this problem, rather than a common cause that applies to everyone affected. Anthroposophic painting therapy and the measures of complementary medicine offer simple ways for influencing the expectant mother’s condition. Viridian green or emerald green lets the power of light—invisible in itself—appear in the visible world. 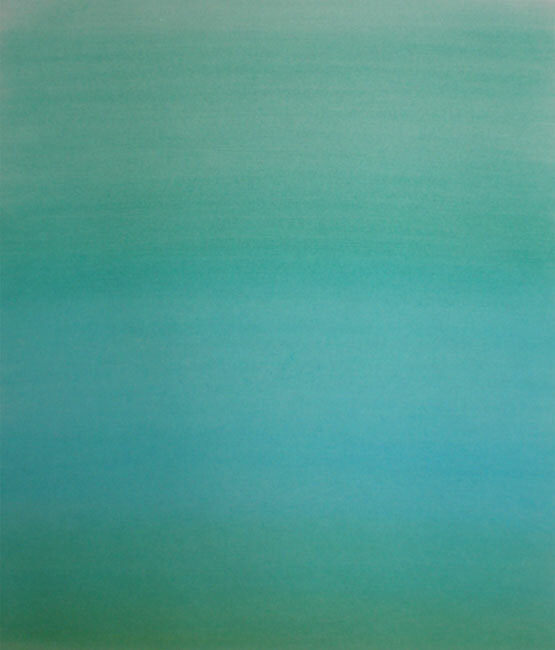 The green-white color has a grounding effect, displacing nausea. Since this green does not impose itself like red or evade like blue, it is the ideal color to provide a centering and emotionally neutral effect. Expectant mothers have to withdraw from their everyday activities when they experience premature labor, as the contractions endanger the final weeks of pregnancy. A hospital stay may be recommended by the midwife or doctor. 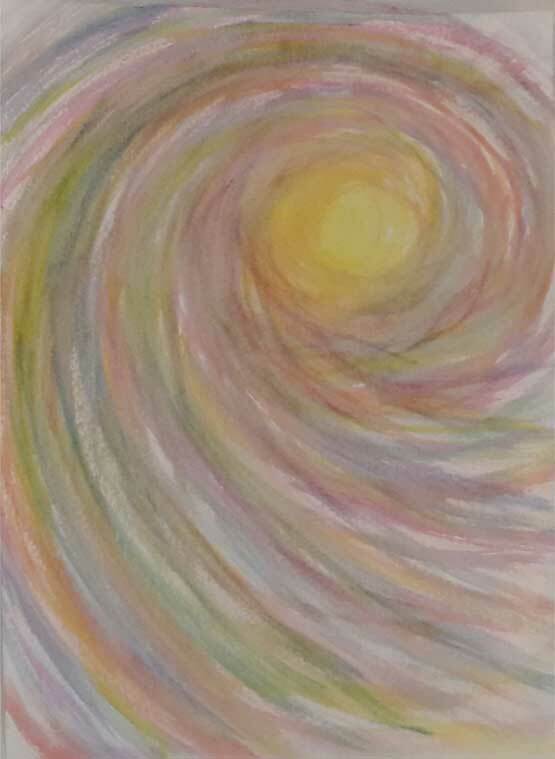 In this situation—as an addition to other measures of Anthroposophic Medicine, such as eurythmy therapy or rhythmical massage therapy—painting therapy offers the woman time and space to notice her feelings and that there is ample room in her body for the baby to grow. 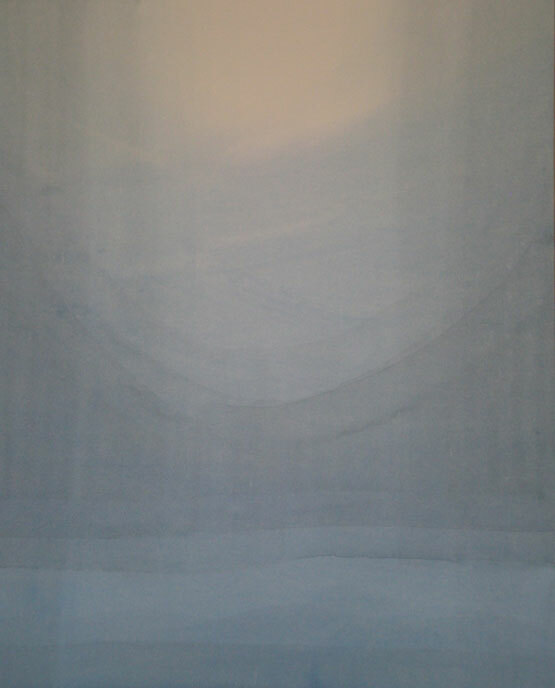 Light-filled painting creates a sense of space. Just as the sight of a broad landscape can free your breathing, cobalt blue releases you from limiting emotions and pressure. Cobalt blue is the unattainable sky blue of a sunny day or the heart of a small candle flame. In painting therapy, cobalt blue forms the protective sheath of a light-filled interior. At the same time, it points to the person’s current vantage point: “Forget-me-not”. When a delay in the baby’s growth is suspected, colors can be used in a flowing manner that can be particularly nourishing, as a complement to identifying any clinical causes. Colors provide expectant mothers with an opportunity to come to terms with their feelings in an insecure situation. Each additional day of rest and confidence holds growth opportunities for the baby. The colors provide “nourishment” for body, soul and spirit. The multi-colored world of the soul is therapeutically stimulated in such a way that the degenerative forces of the light of consciousness are balanced by the upbuilding forces of the metabolism, which are unconscious. The various red, orange and yellow colors have an affinity for upbuilding forces. They sustain the organism. A birth preparation course offered by midwives is an ideal way to strengthen the parents’ bond with their child. In addition to preparation in a course, painting materials can be offered to create a welcome greeting for the child. These pictures are like bridges representing the mother or father’s personal relationship to their child. In my frequent experience, parents take their paintings home with them at the end of the course feeling great respect for the invisible being that has become visible. The mother and father are invited to paint a welcoming greeting for their child. 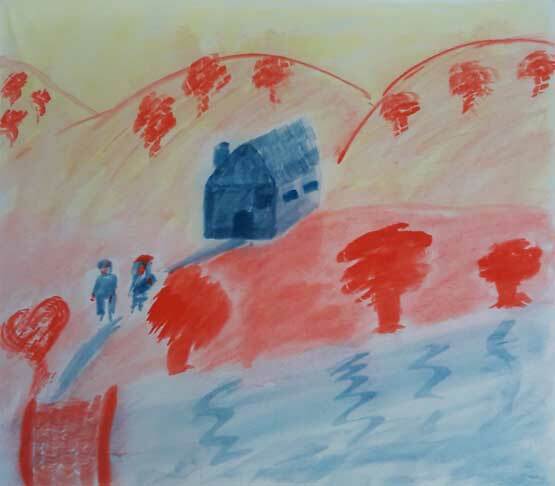 Through this artistic activity, the couple immerses themselves in a creative process that the mother otherwise experiences as the life developing within her (8). Painting is an invitation to pause and look back once more on the pregnancy, and to express this uniquely intimate time with their child. 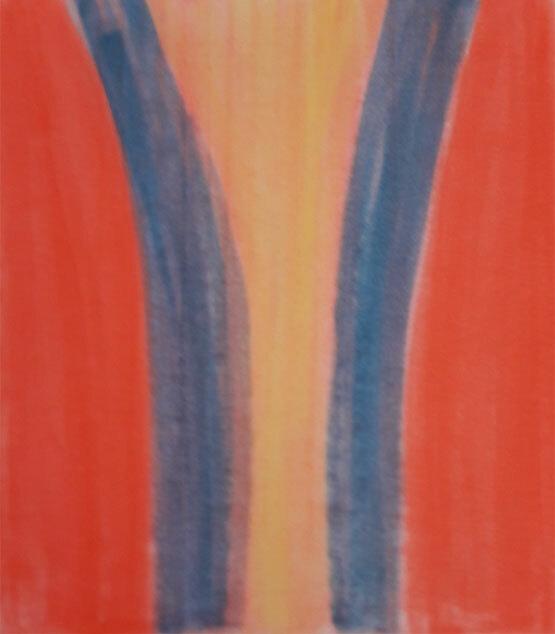 Three colors are offered to the mother for this: vermilion, with its character of fast movement and overwhelming color concentration, yellow, radiant like light, and indigo, subdued by warmth and intensive color pigments. If someone is accompanying the mother, this is also an opportunity for that person to give non-verbal space to their relationship to the child. The whole range of colors is available for this. After painting for about 20 minutes, the mother is asked to participate in a guided exercise with the three colors. The therapist guides her step by step through the painting exercise. The free painting of the mother transforms into one showing an impulse from the overriding powerful desire of the child to see the light of the world. The child is pictorially involved in actively stimulating its birth. How does the child move in this process? How does the mother’s belly feel? The painting session ends with the mother curious about the further process, and also relaxed and confident that the child will help and the birth will go well. Very often mothers say that they feel enriched by this preparatory look at the upcoming birth event. If an accompanying person is present, the therapist withdraws and leaves the couple space for an intimate verbal exchange about their pictures and thoughts. 1 Kloter E, Wolf U. Anthroposophische Komplextherapie bei Patientinnen mit Hyperemesis gravidarum in der Frühschwangerschaft. In: Jahresbericht des Instituts für Komplementärmedizin an der Universität Bern 2017. 4 Herborn E, Kentenich H. Kunsttherapie in der Geburtshilfe. Die Hebamme 2000;2:89–92. 5 Saltuari P. Kunsttherapie in der Schwangerschaft – qualitativ-empirische Untersuchung von kunsttherapeutischen Interventionen bei Risikoschwangeren in den Städtischen Kliniken Höchst am Main. Dissertation im Fachbereich Geisteswissenschaften (Fach Kunstwissenschaft) der Universität Duisburg-Essen 2009. 6 Collot d’Herbois L. Licht, Finsternis und Farbe in der Maltherapie. Dornach: Verlag am Goetheanum 1993. English translation: Collot d'Herbois L. Light, darkness and colour in painting-therapy. Dornach: Philosophisch-Anthroposophischer Verlag; 1993. 7 Collot d’Herbois L. Colour. Stuttgart: SchneiderEditionen 2016. 8 Kloter E, Wolf U. Anthroposophisch-medizinische Komplextherapie zur Geburtseinleitung. In: Jahresbericht des Instituts für Komplementärmedizin an der Universität Bern 2017.